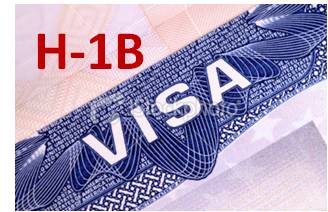 What if I offer to pay for my H-1B? Well, you can offer to pay for your H-1B… but it’s not going to help unless you’ve first demonstrated the value that an employer gets by hiring you. Some people are under the mistaken impression that if only there were no visa cost, the company would hire them right now. Not so. The biggest barrier to getting hired is in convincing an employer that you are the answer to their problems. This is true for ALL job seekers, not just international students. No employer is going to be interested in discussing how to get you a visa unless they are first hooked on your value. And most times, once they are hooked, the resistance to getting you a visa melts away. This is because the actual costs of sponsorship are insignificant when viewed alongside the much greater costs of hiring you: your compensation, benefits and training time. But I’ll give a direct answer to your question: I will offer to pay for my h-1b visa expenses (there are some portions that you cannot legally pay for) if I feel like a manager wants to hire me, and that the cost of the visa is the only thing standing in the way. This doesn’t happen often. In general, stay out of visa discussions (your costs) so that you can focus on speaking about value FIRST. That is what sales is all about. And getting a job is sales, pure and simple.